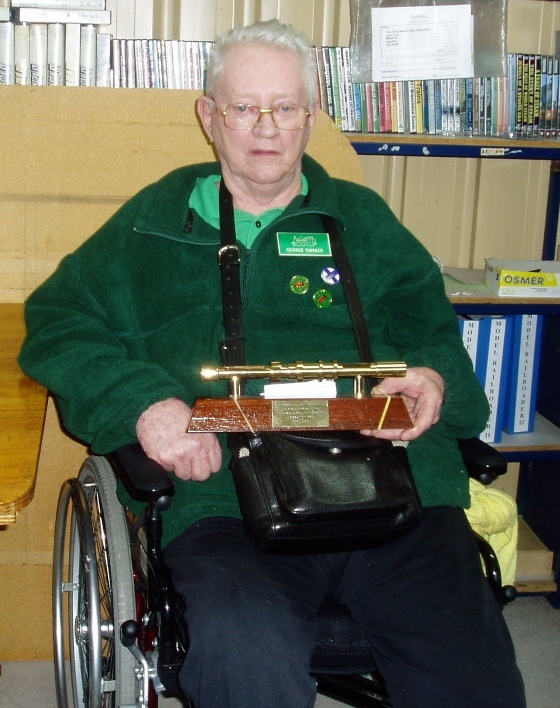 Update: At the next general meeting (21st September), George was presented with a commemorative ‘section staff’ to acknowledge his life membership status. 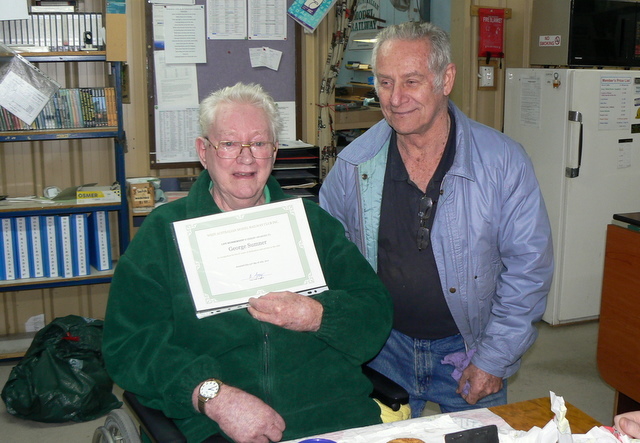 The awarding of these ‘section staffs’ for life members is a tradition that was started years ago when the club was at Claremont Showgrounds. In those days the ‘sections’ were taken from the club’s layout there, so it was only fitting that this ‘section staff’ was for the section Zanthus to Lomos on the new layout. This entry was posted in Club Activities, Meeting, Members by Ross. Bookmark the permalink.